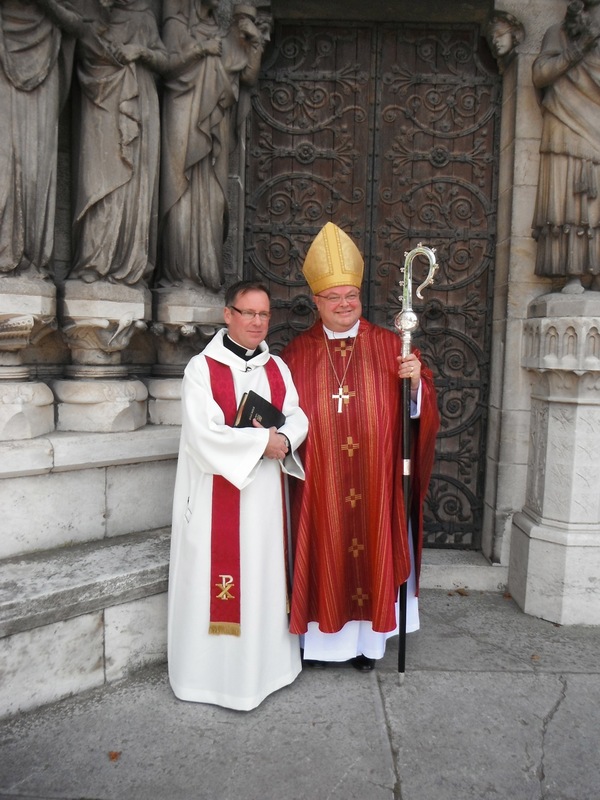 The Reverend David White (left) following his ordination to the priesthood at St Fin Barre’s Cathedral, Cork on Holy Cross Day, 14th September 2013, with the Bishop. 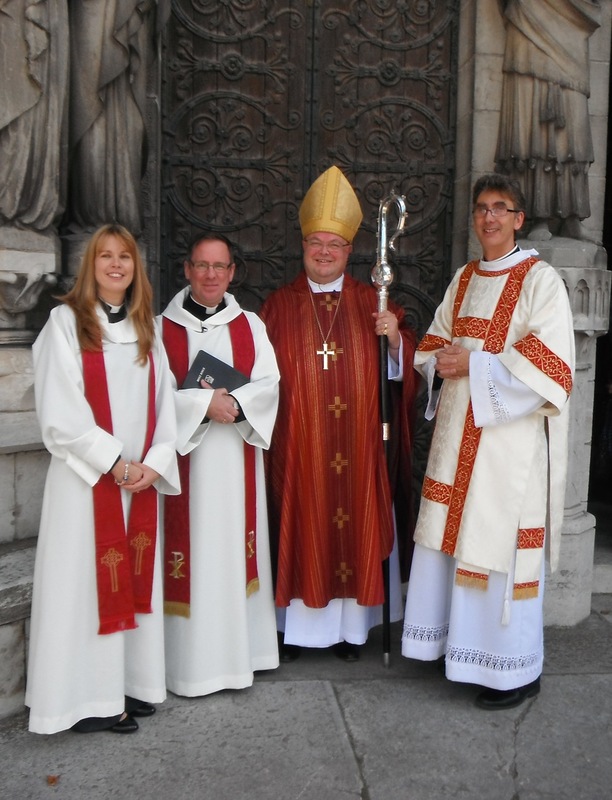 l-r The Reverend Lynda Peilow (Rector of Edenderry, Preacher at the Ordination); the newly ordained priest, the Reverend David White; the Bishop, and the Very Reverend Nigel Dunne, Dean of Cork. This entry was posted in Bishop, Cathedral, Church of Ireland, Church Services, Ordination, People from the Diocese. Bookmark the permalink.